The event takes place October 8th, 7:00-9:00pm, and its topic will be Building Command Line Interfaces with Ruby. 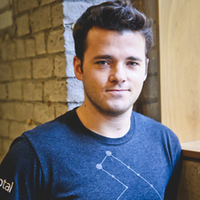 The featured speaker will be Matt Buck, Co-founder & CTO at Voxable. Matt will show attendees how building a great CLI requires much of the same work as building a great GUI. Based on Voxable’s work building Expando, a CLI for building natural language understanding models, Matt will explore some of the considerations and options when building CLIs in Ruby. The group will also discuss circumstances where Ruby might not be the best option, and which alternatives to consider.